My name is Joseph Healy, lover of all things rugby, proud father of seven children and Head Coach of Project Rugby at Mill Hill Rugby Club and Mill Hill RFC’s first team manager. important in life; I had my first child, started a career with London Underground and got my first mortgage. and respect not just for others but also myself. For the past 2 years I have been running Project Rugby along with Ed Wade and Jason Watson and have proudly watched it go from strength to strength. We started small. With only a couple of players and a small amount of support. With the help of Barnet Mencap we kept a steady flow of consistent numbers and most of those founding players are still with us today. They attend every week and wear the Mill Hill shirt proudly on the field. We couldn’t have done it without them, so a big thank you to all those individuals who stuck with us and believed in us! As time went by, the numbers slowly began to increase and so did recognition. Saracens, who asked us to help start Project Rugby, asked us along to our first Tournament. From there we were asked along to play in two more tournaments at Allianz Park (Saracens’ home ground) and we even went along to compete at the Aviva Premiership final at Twickenham, the home of English Rugby! We’re also very proud of the Project Rugby Kit. Whilst watching on in the first tournament, I knew something was missing. Every team has their own uniform that they wore with pride and to me this side was no different. I decided that I needed to raise enough money to get a full kit for our team. How? By doing a Tough Mudder with fellow Mill Hill RFC player, John Gilbert! We managed to raise enough funds to purchase the kit and I am proud to say that all funds came from within the Mill Hill Rugby family. I like to think that we’ve developed a community at Mill Hill with the belief that Rugby is for all. The friendships between Project Rugby and Mill Hill players is one that has grown into one family and one that continues to grow consistently. But at its core is Barnet Mencap. We would like to thank them immensely for supporting us and allowing us to help those who’ve attended. Every session is filled with so much fun and laughter. Project Rugby has not only improved the players’ lives but our own as well. 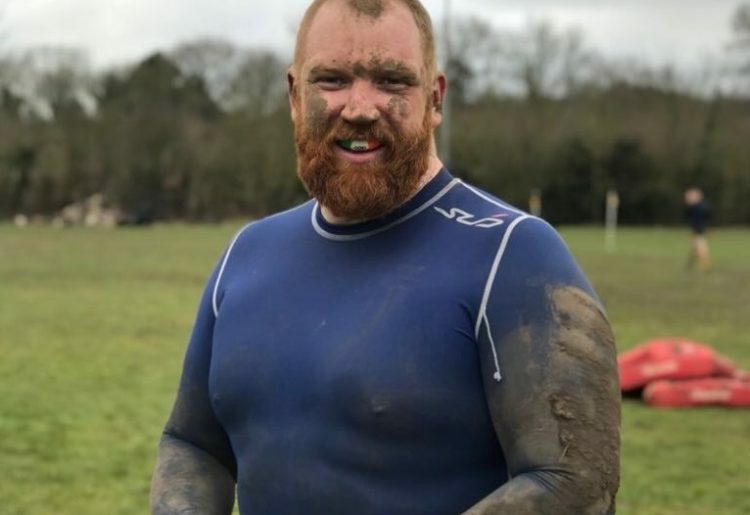 BBC Sport put together a video about Project Rugby featuring lots of our service users, you can view this on the BBC Sport website. For more info on Mill Hill Rugby Club, head to their website.